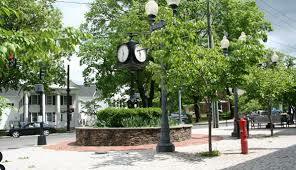 Bethel is one of the best kept secrets in Connecticut - good schools, decent housing prices, quaint downtown. I moved here 15 years ago on what was supposed to be a one year stop while renovating a house I wanted to flip. My family and I ended up staying - too nice to leave. There's a very different vibe here than in lower Fairfield County, nary a BMW to be found, no Starbucks or McDonalds in town. Quiet, little traffic. Sidewalks get rolled up at night. Probably not a great place to live if you are single but lots to offer for families. The entire school system is located on one big campus in the middle of town. Lots of lovingly maintained baseball fields. New track was just built at the high school, funded by our track coach (thanks Coach Grimes!). Soccer fields need some love but we're working on it. Can't swing a dead cat without hitting an awesome pizza place - Capri's, Famous Pizza, Sal'z, and more. Cream & Sugar Cafe just opened, good family hangout for ice cream. Packed with people, even in winter. Moltan Java Coffee is in town for the adults. Good restaurants and shops to eat at. Check out Sweet N' Salado and grab a burrito. We have an apple-picking orchard and a drive-in burger joint. Other than in town all the houses here have oil heat, well water, and septic systems. You'll need to have a septic company look at the system before you purchase the house to make sure it is fully operational. Local septic contractors include A1 Septic, Lathrop Septic, and Bill Roy Septic. I've seen no signs of the foundation damage affecting northeast CT in Bethel as of this date. ​You can click here for Bethel local news. If you are searching for a home inspection company in Bethel feel free to click on the button above for a quick price quote, or give me a call. I can provide you with a structural inspection, pest inspection, radon and water testing, and all other services regarding your home purchase. Looking for a licensed home inspector near Bethel CT? Contact Allied Home Inspections LLC - "Inspected Once, Inspected Right!"